Eyes are very important and delicate sensory organ, special care and treatment should be provided to them. Many eye care products which provide benefits and care should be applied and used for healthier eyes. To have healthy, light and bright eyes, one should have proper 7-8 hours sleep daily, should have diet rich in vitamins and minerals. Food items like fish, green leafy vegetables, nuts, papaya, mango, apricots, carrots, beans, amla are good for eyes. Yoga and Ayurveda help in maintaining the health of eyes and even prevent eye infections. Mistine De Youth Perfection 2 In 1 Eye Brightener. Eye care is an inevitable part of beauty and personal care. Eye care beautifies and even protects the eyes. With eye makeup, eye care products are also essential. Eye care products are made and designed in order to cure and prevent eye problems caused by eye makeup, pollution, sunlight, hormonal imbalance etc. Eye care has many products which provide innumerable benefits. It may include products like eye masks which help a person to sleep at night. They block the light and other disturbances in the environment and help the person to sleep. Eye gels, eye creams and eye serums are different and have different purposes to serve. They actually soothe the eyes, remove dark circles, fine lines and wrinkles. These products lighten, brighten and tighten the eye skin. These products also protect the eye and cure many eye problems. Using home remedies like scrubbing eye area with brown sugar and coconut oil, applying honey and lemon, green tea bags, cucumber slices, aloe vera gel will help in getting rid of eye problems and will make your eyes beautiful and young. Natural Remedies To Grow Thicker Eyelashes & Eyebrows The first thing that people generally notice about your face is your eyes. 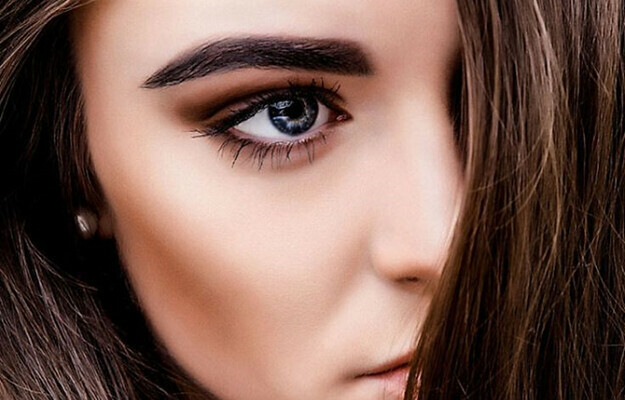 Having beautiful thick eyelashes and eyebrows enhance your beauty. This is also the new beauty trend right now. Not everyone is blessed with thick eyelashes and eyebrows, unfortunately. But hey, we’ve got your back!